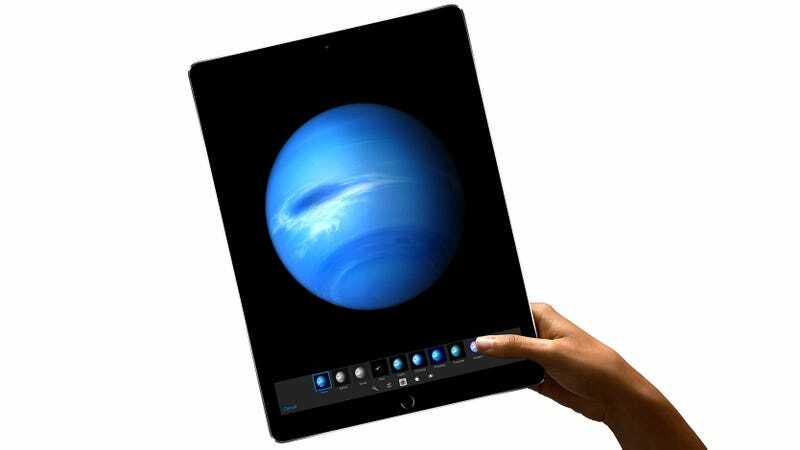 Today Apple confirmed the company’s new monstrous iPad Pro will be available for pre-order online starting this Wednesday, November 11, and can be found in Apple stores, select carriers, and at authorized reseller locations later this week. The 12-inch iPad Pro’s companion devices, the Apple Pencil ($99) and Smart Keyboard ($169), will also be available to order on Wednesday. The iPad Pro starts at $799 for the W-Fi only 32 GB model, tops out at $1,079 for the 128 GB Wi-Fi and cellular model, and all versions will be available in space gray, silver, and gold color options.